I have been recently doing a lot of research on maritime subjects for a couple projects I have underway. In this post I would like to share a story about from my high school days that has been enhanced by some additional information I recently learned. My uncle, Frank Gustav, was an engineer in the U.S. Merchant Marine. He was not a blood uncle. He and my dad were friends from childhood, so we kids just called him uncle. He was a quiet, modest,and generous man with a lifetime of amazing experiences. He joined the U.S. Merchant Marine as a teenager during WWII. He started at the bottom of the ladder as an engine wiper and progressed all the way to chief engineer during his career. During WWII he made numerous convoy runs to Russia and other locations. One convoy he told me about was heading to Russia when all of their escorts were diverted to find the German battleship Bismark. The defenseless convoy then got hit hard by U-boats. While his ship made it through, many others didn't. He said many of his buddies were mad at the British for that, but he never seemed to carry a grudge. He continued with the merchant marine for many years. During the Vietnam War, he received a commendation for heroism when his ammunition carrying ship was attacked by Viet Cong mortar fire. 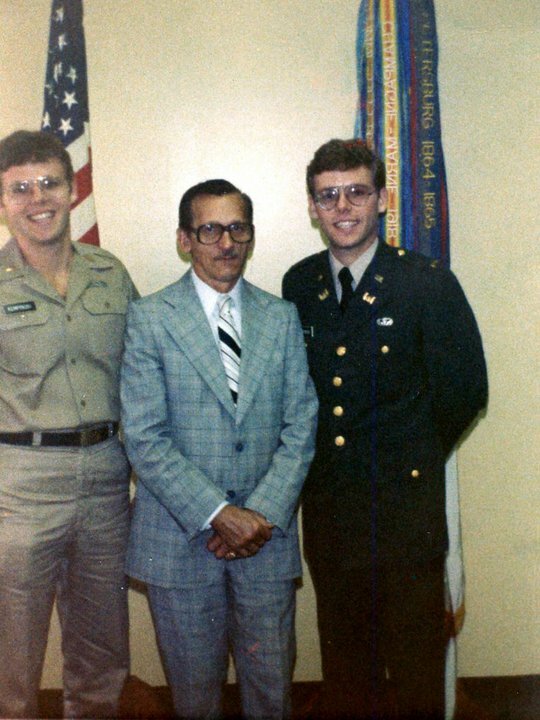 When I was a senior in high school, Frank was making regular freight trips to Puerto Rico. He called it the banana run, as they were frequently hauling bananas to New York. It was about a bi-weekly cycle. He had a car and an apartment in NYC, but he didn't like leaving his car there. So he made me a deal. I could use his car while he was gone, as long as I picked him up in Brooklyn when he returned from a trip. He would usually stay at our house during his shore time. One weekend, I arrived at the dock in Brooklyn to pick him up. He was on the ship, Transcolorado, a converted troop ship. He said to me, "we can't leave tonight, as I have to be on watch. Why don't you go to my room and go to bed. We will leave in the morning." I said, "OK." I Called my parents to let them know what was up. Then I went to his stateroom in the upper superstructure, and since it was late, I hit the rack. The next morning I got up and dressed. When I went on deck, I was shocked to learn that they put the ship in dry dock while I was asleep. I had breakfast with the crew. They gave me a detailed tour of the ship. One of the deck officers asked if I could give him a ride to the union hall in Manhattan. So Frank and I did that. I was amazed he gave me $20 for the ride, which I refused to accept, but he insisted. In 1974 minimum wage was $1.80 an hour! Frank passed away several years ago, but I frequently think about him and that night, and many other pleasant memories. A few weeks ago I was curious if any pictures of the Transcolorado existed. So I did a search, and sure enough I found several. 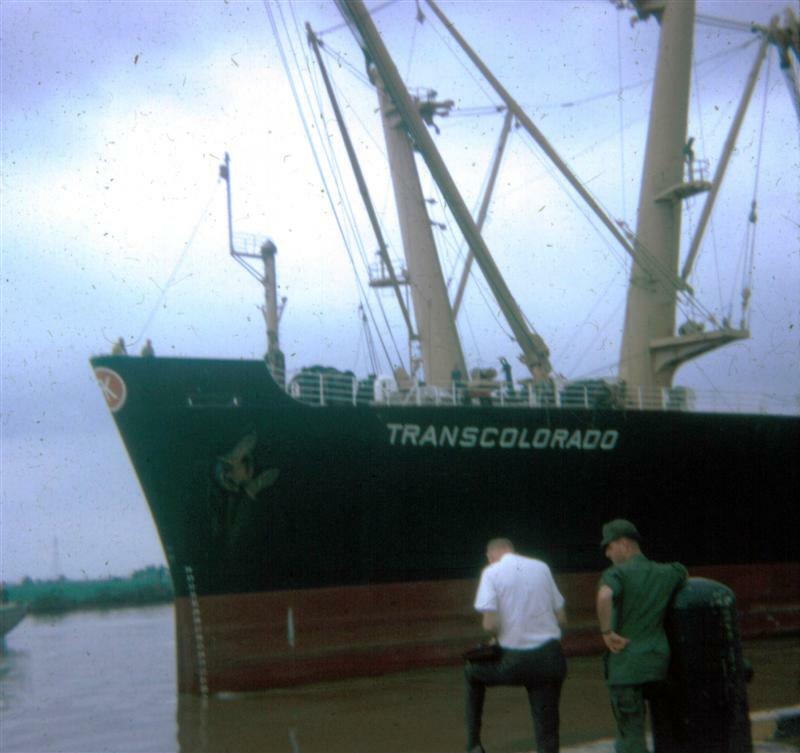 The Transcolorado started out as a USNS Troopship called Marine Adder. It was a bit late for WWII, but participated in the Korean and Vietnam wars. 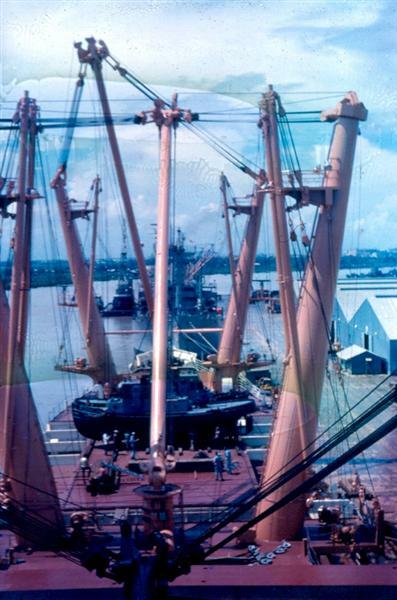 After the Korean War it was converted into a US flagged merchant ship, with a set of distinctive cranes. About a year or so after I was on the ship it participated in the Vietnam Refugee operation. I was very surprised to learn that the ship I spent a night on was involved in that operation. It turns out the Vietnam mission was very well documented with text and videos of the operation available on line. This website has a good description of the overall mission. The comments are also worth reading. The book, "The Lucky Few", has a section describing the tragic conditions on the overcrowded Transcolorado during the evacuation. It was a chaotic time. I know several Vietnamese people who were rescued after the war, including one of my sisters-in-law. While it would make an incredible coda to the story, she didn't come here on the Transcolorado. The 70th anniversary of D-Day is today. It is a good time to reflect on the devotion to duty and sacrifice of the men and women involved. Most people are familiar with story of the invasion and hard fighting. What might be lesser known is the role that railroads played, not so much in the initial invasion, but in the subsequent campaign. 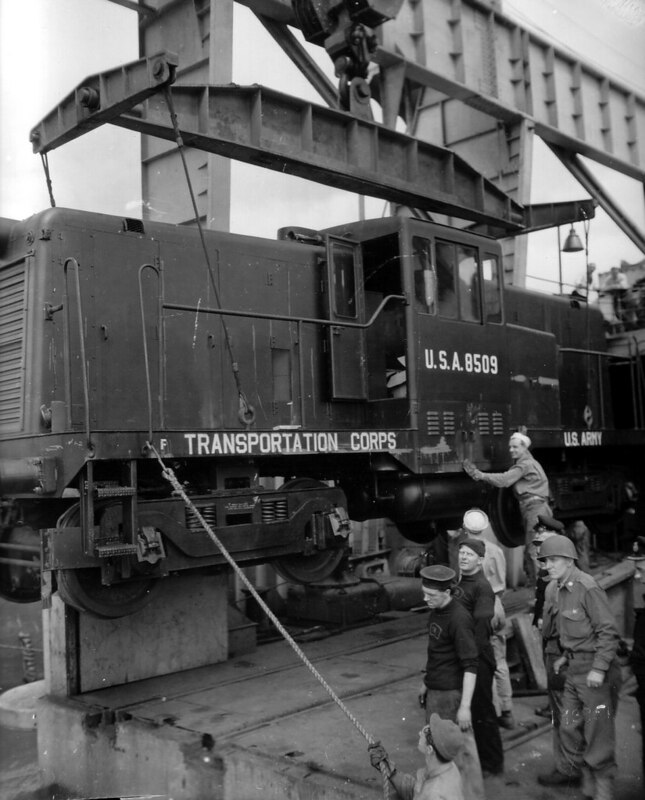 The battle to capture port of Cherbourg and its railroad assets was a major component of the D-Day campaign. 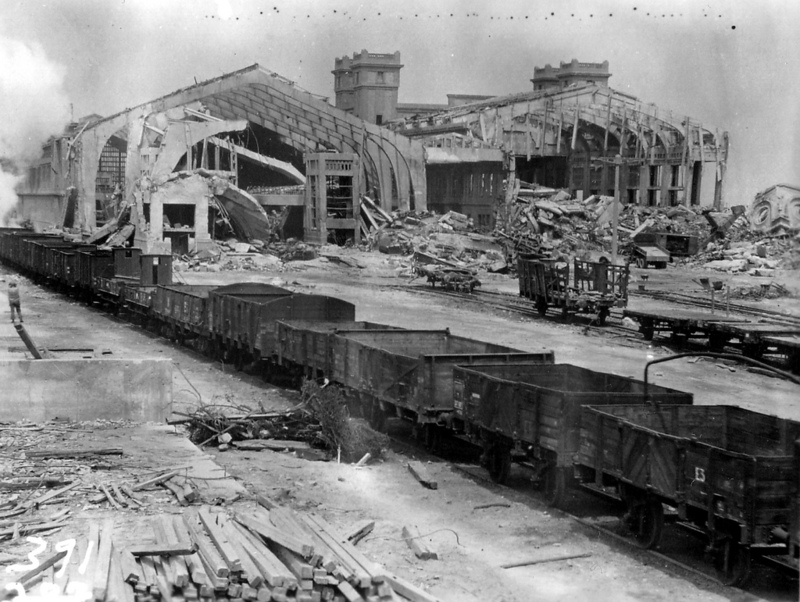 The utter destruction left by the Germans made the task even more difficult. I included a chapter on D-Day and the fight for Cherbourg in my upcoming book, "The Model Railroad Goes to War." It is one of the most interesting chapters in the book in my opinion.